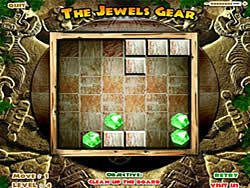 Your objective in this cool little puzzle game is to rotate the board so that all the jewels end up next to each other without anything in between. You must follow the objective to solve each puzzle. The demands for a level are given underneath the box. If the demands are met, you will advance to the next level. Good luck!